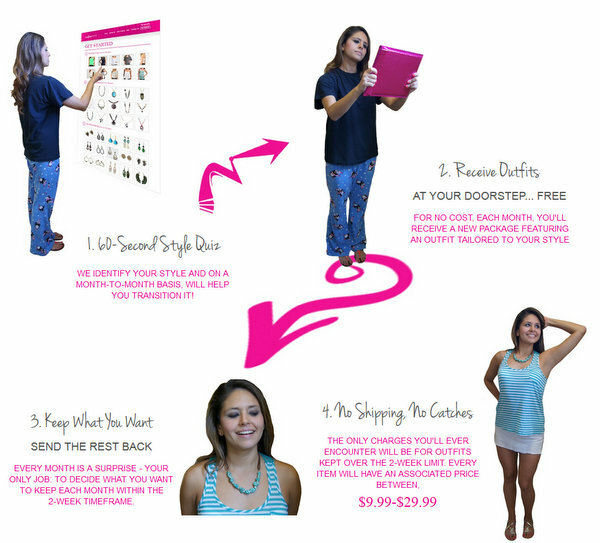 Nadine West is a subscription service for those of us who want some fun surprises for fashion & jewelry. 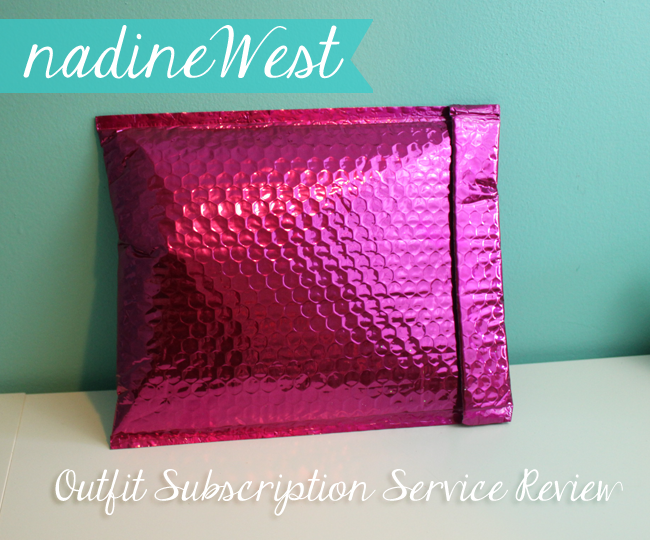 They reached out for a opportunity to review and so here’s what I got in my Nadine West to review delivery this month. 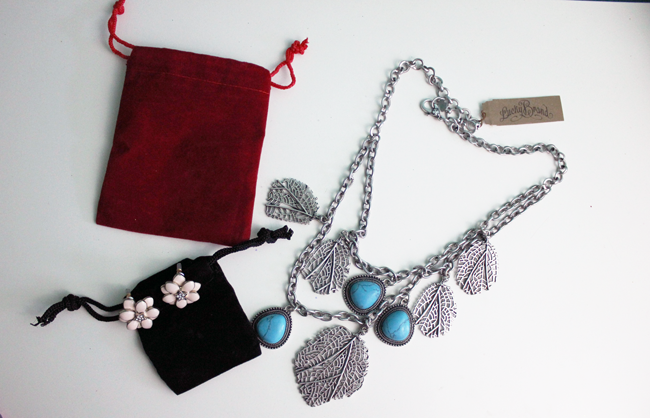 It came with two pieces of jewelry and one fashion top. You can pick the ones you like and buy them, or send the ones you don’t like back. So, that being said, prices vary. I do like the earrings! 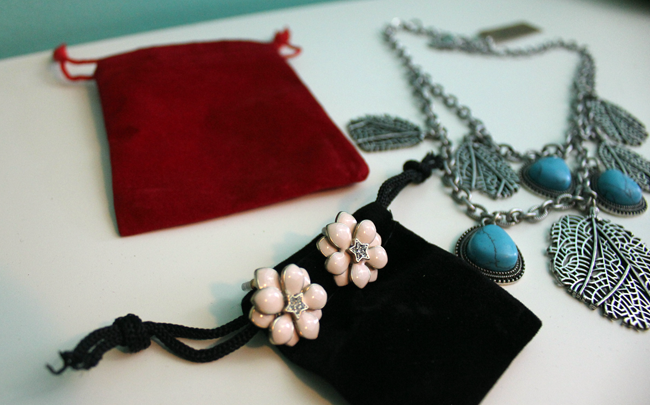 They are such a fun piece for spring! 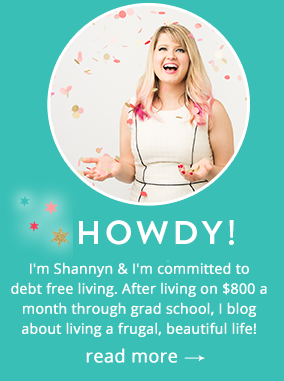 You can check out Nadine West to subscribe & use code “FRUGALBEAUTIFUL” to get $10 off your first month of jewelry! Can I tell you that the envelope that it came in is probably my favorite part of this entire post! Where can I get some sweet envelopes like that? I like those earrings too! This is super cute! I haven’t seen this one before. 100% dissatisfied. Everything that I got was super cheap and tacky. I’m talking family dollar cheap. After I sent back my review and put on there I am no longer interested in the service they continued to charge me!! $6.50 a month to open a package and have to drop it off at the post office. I am really upset and feel stupid for thinking this was gonna be as awesome as Ipsy is. Unless you have money you would like to throw away- don’t try it. I am a happy Nadine West cutomer. Customer service is better than any company I have encountered. I have not liked every piece….they aren’t mind readers, but when I give feedback you can tell they paid attention and the next shipment is right on point. Package arrived after the return by date with twice as many items as normal (almost $100 plus shipping). Not a single item I would use. Would not recommend.